The ability to communicate effectively is arguably the most important asset to any entity seeking to obtain a certain goal. Without communication the ability to relay ideas and goals to coworkers and teammates is nullified. Without properly conveying these ideas and goals to our team we fail to reach enabling and terminal objectives. It is not enough to simply open up a line of communication for the purposes of light fighting. A Standard Operating Procedure (SOP) must be established in order to make communications seamless and proficient. Establishing a pattern or sequence for communication allows us to communicate successfully with other teammates. Standardizing communication is especially important because we may not even know those receiving our message very well. If communication was not standardized, efficiencies of time and message would be lost. Communication is used in order to coordinate and assign tasks, as well as to maintain situational awareness of teams. In several circumstances we seek to keep our communications proprietary; couples do not openly discuss their finances, businesses try to keep their newest ideas secret from their competitors so that they may gain advantage in the marketplace. The idea of shielding one’s communication is evident in almost any situation in which communication is involved. In the military, this idea is condensed to Operational Security (OPSEC). In communications, OPSEC is maintained through the application of Cryptology; the study of codes. In World War II, the Japanese could virtually decipher every code the United States was using to communicate, thus operational success suffered. The Japanese knew when, where, and what U.S. forces planned to do as a result of the compromised communications. It does not matter how big a hammer you have, if your opponent knows when and where you plan to use it, that hammer is rendered ineffective. The introduction of the Navajo Code Talkers by U.S. forces effectively secured communications against Japanese Intelligence. The Navajo Code Talker’s Dictionary is an example of Signal Operating Instructions (SOI). An SOI decreases the time on the net (radio frequency) by shortening the length of messages and, more importantly, allowing the user to communicate in a secure manner on an otherwise insecure net. The complexity of an SOI varies depending on the mission and unit. For instance, the nature of one mission may require a large amount of time when radio communications are forbidden. In other words, the unit needs to maintain radio silence so as not to alert the opposing forces of friendly activity. Some prefer a short SOI with just a few brevity codes, while others prefer a more robust and comprehensive SOI. The contemporary age has afforded advances in cryptology that have made this form of communication all but obsolete. Encrypted radio signals no longer require militaries to code their messages when facing a less technologically advanced enemy. Regardless, there are several instances where this technology can fail or be rendered obsolete. Plus, not everyone has access to top-of-the-line communications equipment. Thus, the study and use of an SOI is still quite valuable; especially in a leadership capacity. One of the most noticeable traits of good leaders is their ability to communicate effectively. This entails the ability to express their vision through Commander’s Intent (CI) as well as disseminate information under stress. In One Shepherd’s Technical Institute of Leadership, we apply the use of SOI during training to not only shield communications from the Opposing Force (OPFOR), but also to facilitate our student leaders in learning how to communicate effectively under stress. Using an SOI in stressful situations forces the user to condense the message down to its simplest form. Thus, teaching leaders the art of clear and concise communication. In order for leaders to apply the use of SOI, they must first learn its composition and how to employ it. So what goes into an SOI? Due to the comprehensive nature of this topic, this article will condense the information into five main points; Call Signs, SOI Timeline, Encryption Code/ Authentication Table, Passwords, and Brevity Codes. An example of SOI will help gain a more comprehensive understanding of its use. Example format of the “required” information in an SOI. Not every member of the patrol carries a radio, but every member must be familiar with the SOI should they be the one to need to communicate using the radio. Part 1 of this article will focus on the portions that every member of the patrol must be familiar with as they are explicitly non-radio based – the SOI Timeline and Passwords. This section is rather intuitive. By extensive use of the same SOI, the opposition is allotted the time and repetitiveness to decipher our SOI. Thus, an SOI is only used for a designated time; often 24 hours. In the above timeline, you should observe that the SOI is in effect starting at 071630SNOV14. This is a Date Time Group (DTG) of the form DDHHMMT MM YY. So the first part “07” represents the 7th day. The next four numbers represent the time “1630” or 4:30 P.M. Next we have “S” which is the Time Zone designator for Central Time. “NOV” represents the month of November and finally “14” indicates the year 2014. So putting everything together we get that the date time group is saying that the SOI will go in effect at 16:30 Central time on the 7th of November, 2014. The incorporation of the Challenge and Password into a sentences make it less obvious to a spy/ scout/ or enemy nearby. Another important step to this process is to inform the challenger of how many people you have with you so they may count them in. This is a procedure used to maintain a unit head count as well as keep an enemy spy from infiltrating your patrol; however unlikely it may be. Sometimes we know that we are going to make contact with another unit and we do not have the time and luxury of stopping and having this dialogue. In situations like this, we use what we call a running password. When using a running password you continuously yell out the word AND the number of people you have with you. A fellow warrior you are running towards hears you call out the running password, he knows you are friendly and that you are in a hurry. Secondly, he hears you call out a number and he knows how many friendlies are following you. For instance, you hear “Popcorn 5, Popcorn 5…” You know that 5 friendlies are coming in. Any one after that is considered an enemy. “Halt! Did you get those 4 apples I asked for? Here we can see that 4 and 1 add to make 5, thus completing the number combination. While you can standardize when, or even if, you use each type of password, the general rule of thumb is that number combinations are used behind enemy lines and the Challenge and Password is used behind friendly lines. Every member of the patrol should be familiar with the Timeline and Password portions of the SOI. 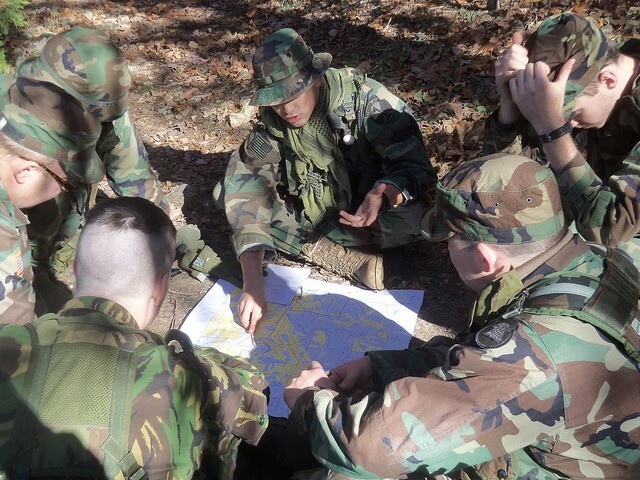 These basic building blocks should be rehearsed prior to step off and the patrol leader should quiz the members of the patrol on these two areas during the pre-combat inspection (PCI). Without these communication control measures in place, the entire operation can be compromised should an enemy sneak into your patrol. Even worse is avoidable fratricide. Learn and practice these basic concepts first, and you’ll be well on your way to maintaining solid communications with your team.